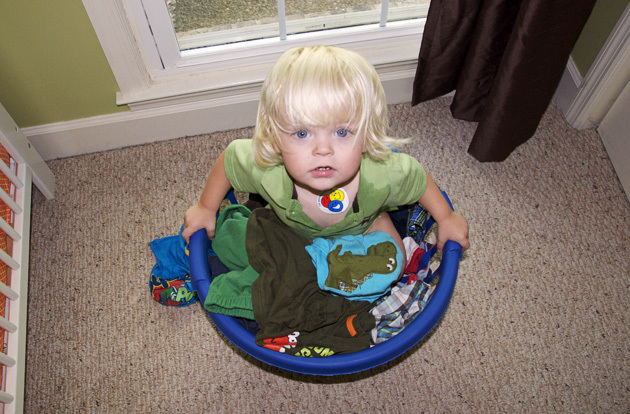 I'm sure that including the word laundry in my title had everyone rushing to read this post. It's all part of my intricate marketing strategy. Although he's home now, Ben had to go out of town on business for a few days - between flying solo and helping poor Max cope with his teething situation (they woke him up at 4:30 this morning, and have had us up by 5:45 every other day this week), I'm spent! That is my only excuse for the sparse blogging of late! In spite of the 4:30 wake up call today, I dragged my tired booty to the park to meet some friends for an early morning run while Ben stayed home with Max. Gotta say, I was proud of myself! This was my first run in a looong time. We did a 2.5 mile trail run and only walked a minimal portion of it. I know I'll be feeling the pain soon enough, but right now I'm basking in that post-workout glow :) And Max gave me a wonderful gift ... he sat in the bathroom and played happily with a toothbrush for 20 minutes, while I luxuriated in the longest shower I've had in a while. It's the small things! Don't worry, I have not forgotten that Ben owes us a beer of the month post ... he may have a little surprise in store for you guys, so stay tuned! If you're a Costco member, there is a special on their website for $10 off, bringing the total cost to just $79.99. 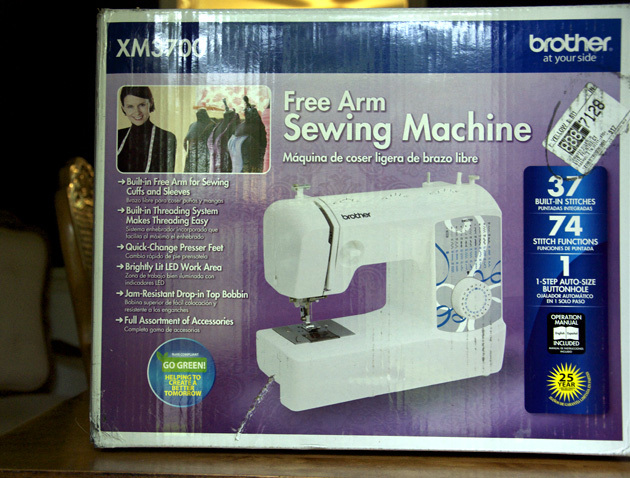 I don't know much about sewing machines just yet, but the price was great and I have faith in Costco! Now I have no excuse not to whip up some curtains for Max's room.